Henry is our 5 year old Jack Russell Terrier. He's a typical JRT, bold, fearless and energetic - which is how we came to need Lucy's help! Whilst playing with a tennis ball, Henry jumped up to catch it in mid air and in doing so, twisted his body. He landed quite hard on his back legs but seemed fine, continuing with his game. However, the following day it was clear that he was in significant pain and unable to move freely. A trip to the vets confirmed that Henry had seriously strained his lower back, and the muscles were in spasm. Painkillers and anti inflammatory drugs helped but he still had an unbalanced, stiff gait and wasn't his usual bouncy self. With my vets approval, I asked Lucy if she could help. In all, she visited Henry 3 times over the course of 4 or 5 weeks. After the first treatment, Henry was noticeably more comfortable and his gait was more fluid. He continued to improve with each session and was soon back to normal. 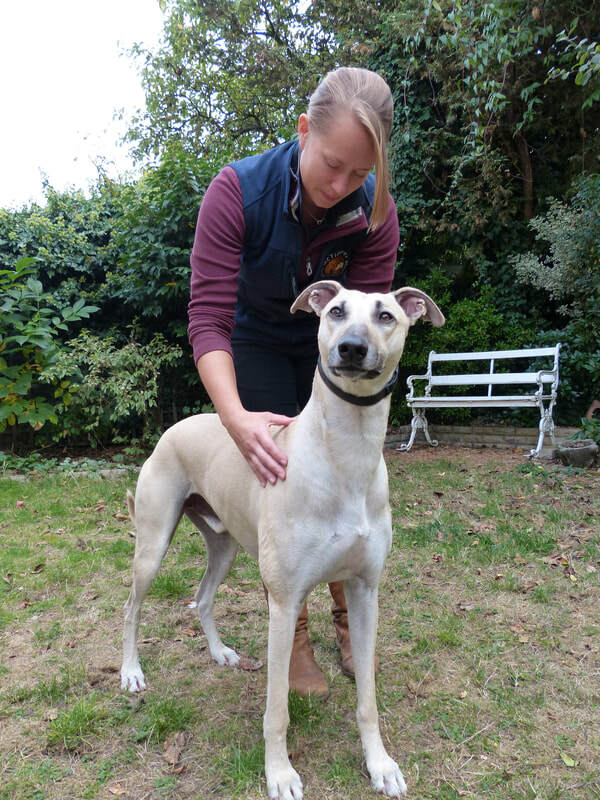 Henry doesn't always take well to strangers touching him but Lucy's calm and confident manner assured him and he even seemed to enjoy his treatment! Lucy is brilliant at explaining what she is doing and why; she clearly knows her subject and moreover has an instinctive feel for animals. Lucy is a true professional and I can sincerely recommend her.